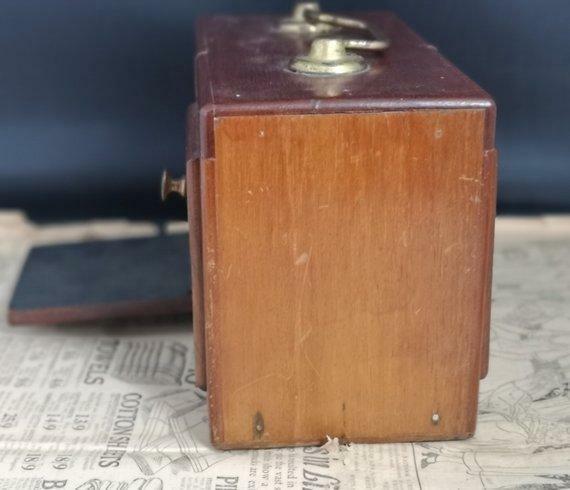 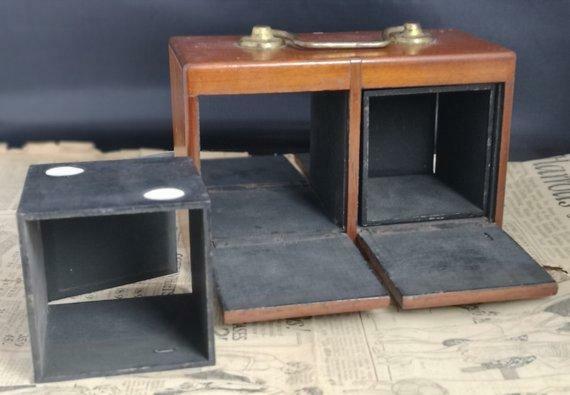 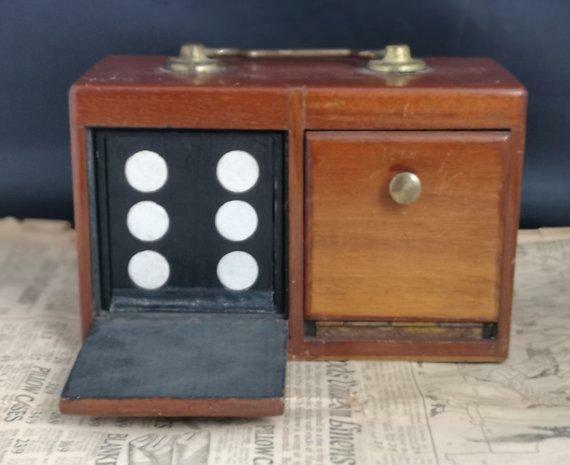 A fantastic late Victorian magicians trick dice box, the disappearing dice trick. 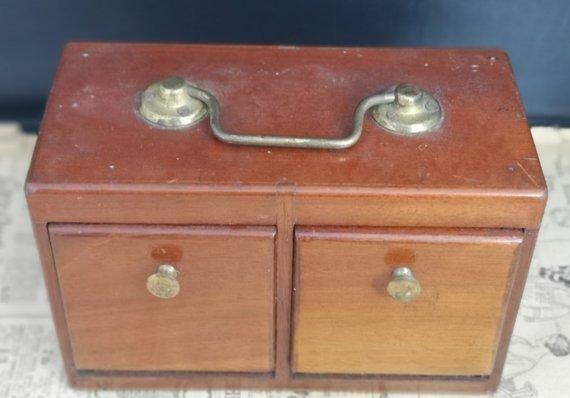 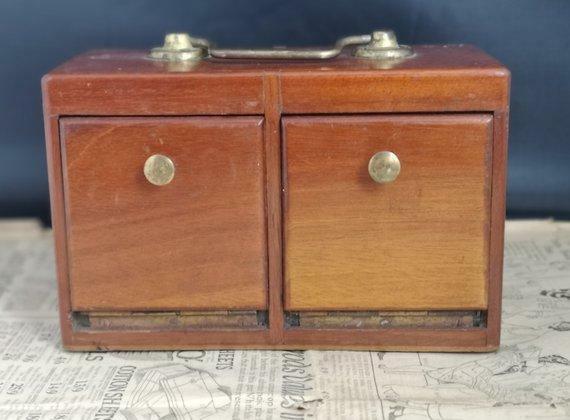 An attractive mahogany cased 4 door box with a brass handle door finials. 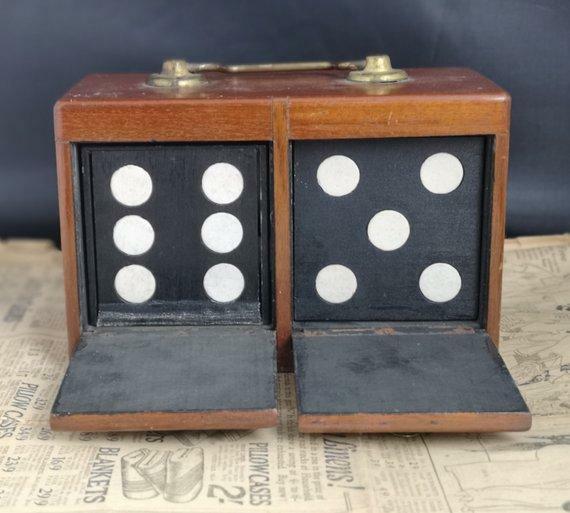 The drop down doors open up to reveal two 'trick' dice which are both removable. 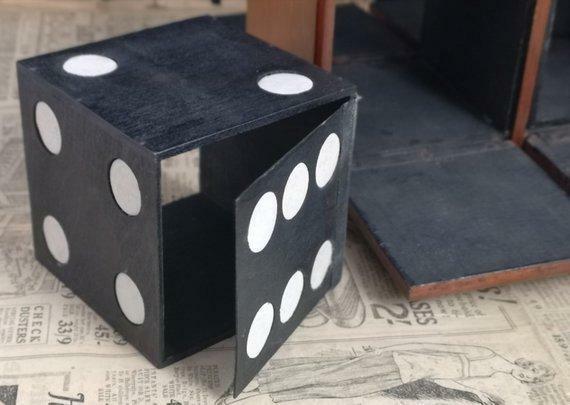 The dice each have 5 sides one of which is hinged to enable the dice to 'dissappear' when performing the trick. 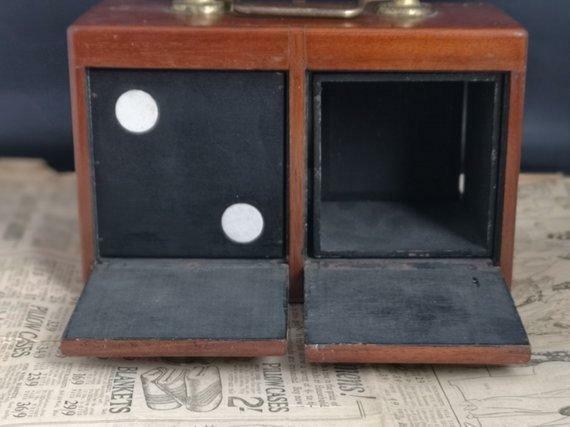 C1890, it is in good condition overall, one of the doors has a tendency to open and there is some light surface wear commensurate with age.